Give something ordinary in an extraordinary way and impress your friends and family is the biggest challenge. Each dish despite the best taste and aroma, requires an appropriate appearance. The visual effect, especially when receiving guests is extremely important. Surprise someone is not so difficult. See how beautifully you can give food. End of the ordinary slicing it into slices. Time for a change. There are many arts and crafts websites on the Internet but very few of them contain food craft projects. That is why I gathered amazing edible crafts for you.. I hope you will find some interesting craft ideas here that you will want to try on your own. 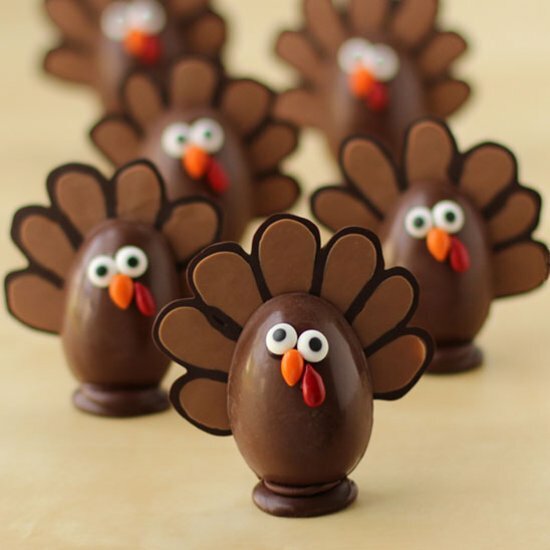 Chocolate Turkey Truffles filled with White Chocolate Pumpkin Ganache.